Beautiful end unit townhome located mins from Rt.11 and 1-81. 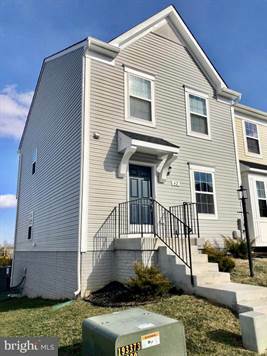 This home offers so much for the money: Built-in 2017, 3 bedrooms, 2 1/2 baths, living rm, kitchen with breakfast area, island and stainless steel appliances, morning room, hp/cac, unfinished walk-out basement. This home is available immediately! Come see it today before its gone!